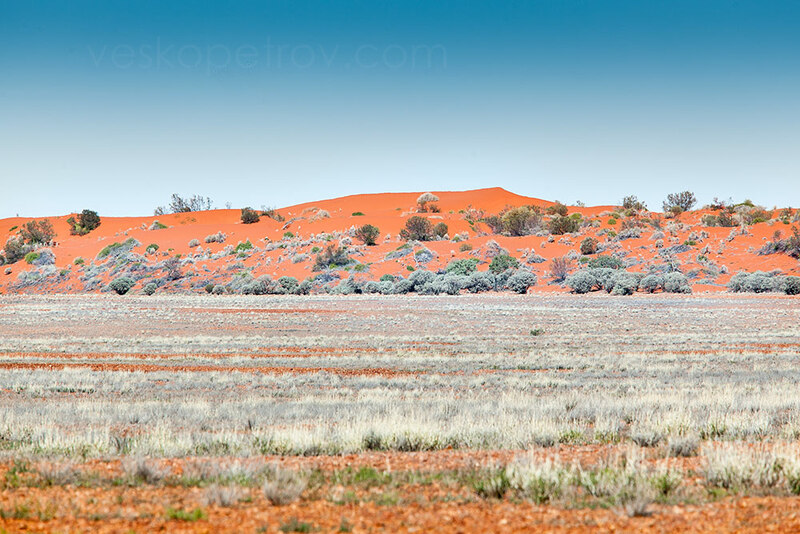 The next day (after a memorable night with Sarah), I drive illegally into the Simpson Desert. Illegally, because I don’t have the required (compulsory now) sand flag, as well as I don’t have the required (also compulsory) desert permit. My excuse – it is unplanned, spontaneous and I don’t drive too far, maybe 10 or 20k. I just feel like driving in the desert for a bit. I stay in the desert until I feel overwhelming desire to get back home. Climbing Big Red early in the morning is a piece of cake for the Landie. Yes, the sand is cool and I crawl up without any effort and I don’t need the the admiration of the beer drinking crowd. 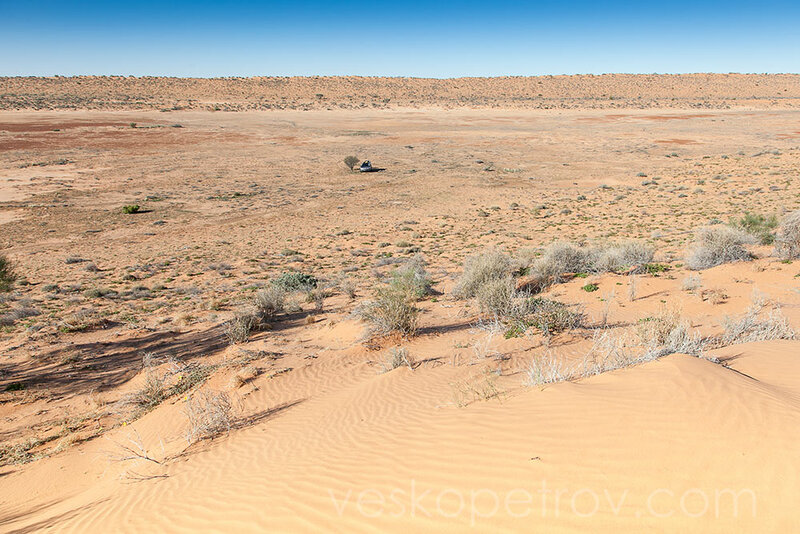 Having fulfilled my original plan to drive the Birdsville Track and to see the desert again, I start driving east not sure which way I want to go, experiencing a slow revelation that I wish the Outback to continue forever. 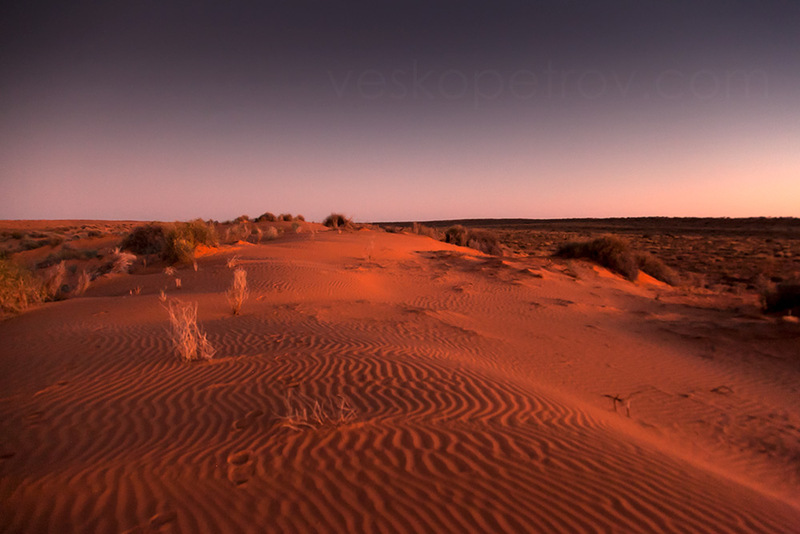 Somewhere in the Simpson Desert. Same spot a few hours later. 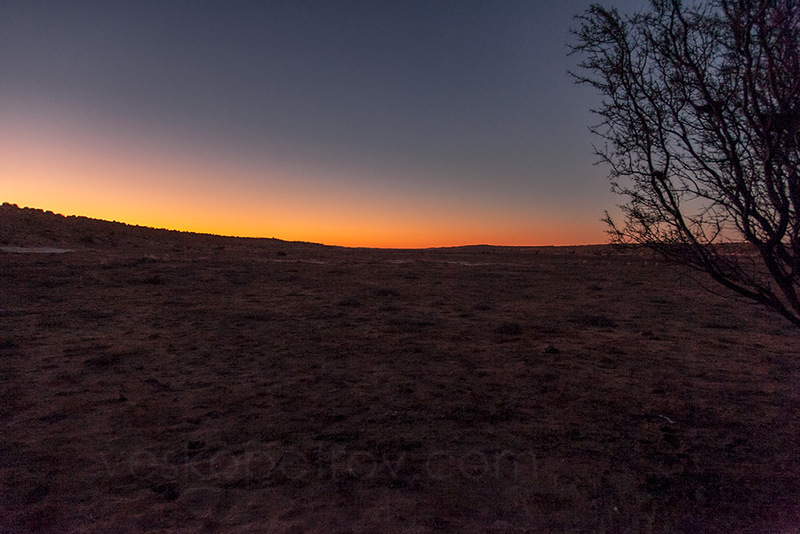 Night comes over the desert. 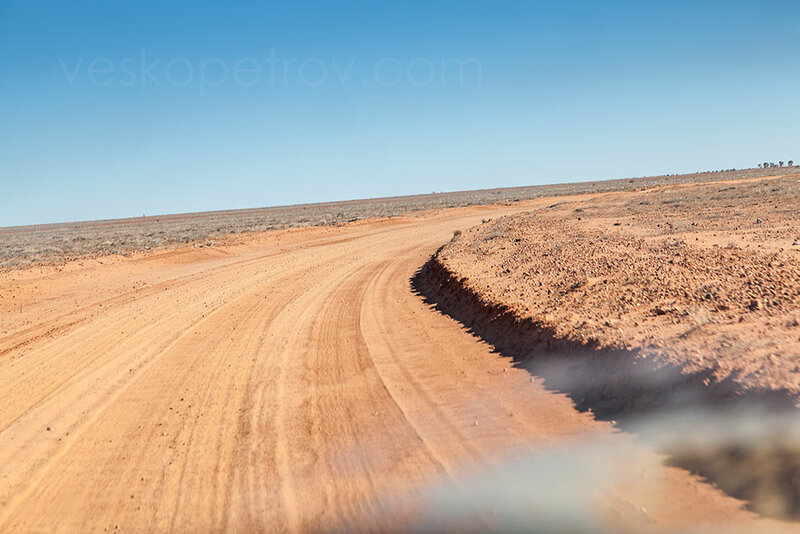 I jump on the Birdsville Developmental Road towards Windorah. I’ll make my plan when I get there I’m thinking, but then for some reason the name Innamincka comes into my mind and I search the map to see where this fantastic place might be. I see that I’m just approaching a little side road named Cordillo Road that would take me there. 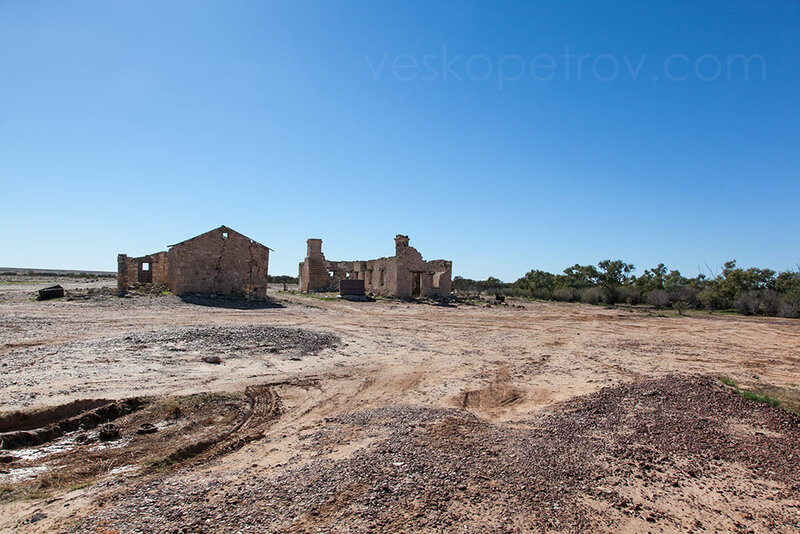 So, impulsively I turn into Cordillo Road which has very promising beginning, the surface being gravel or compressed clay, but soon the road goes into lower grounds and into the mud, with many temporary bypasses to skip the deeper muddy sections. I hate mud! As I drive, I can see in the distance a convoy of Toyotas. I’m slowly catching up with them. Just before reaching the ruins of Cadelga Outstation I can see them driving into a muddy section of the road. Perhaps there is no a bypass, or they don’t see it and when I get there I don’t see it either, so I get into the mud as well, like the haughty boy I am, and there is no turning back, Then it’s too late, I just drive and pray for the engine not to cough and stop. 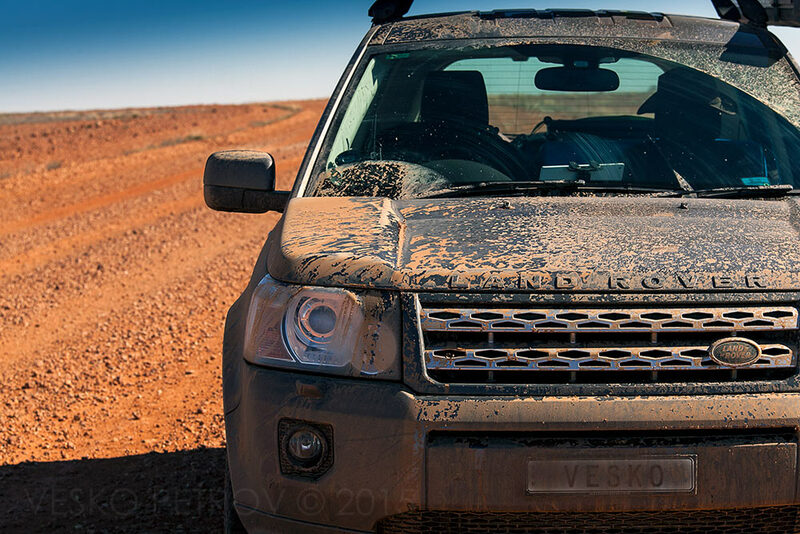 And it gets even deeper; at one point the mud covering the bonnet and splashing over the windscreen. For a moment I cannot see a thing, until I remember to start the windscreen wipers. I experience pure terror then and there, but the Landie doesn’t stop, it presses through the mud until we come out on the other side, Landie dripping mud, and me shaking with terror. Not for the first time I’m truly grateful for my huge tyres. They make the difference. Later, around the ruins the Toyota drivers ask me how the road the other way is, and I say I don’t know, I just drove the mud like you. 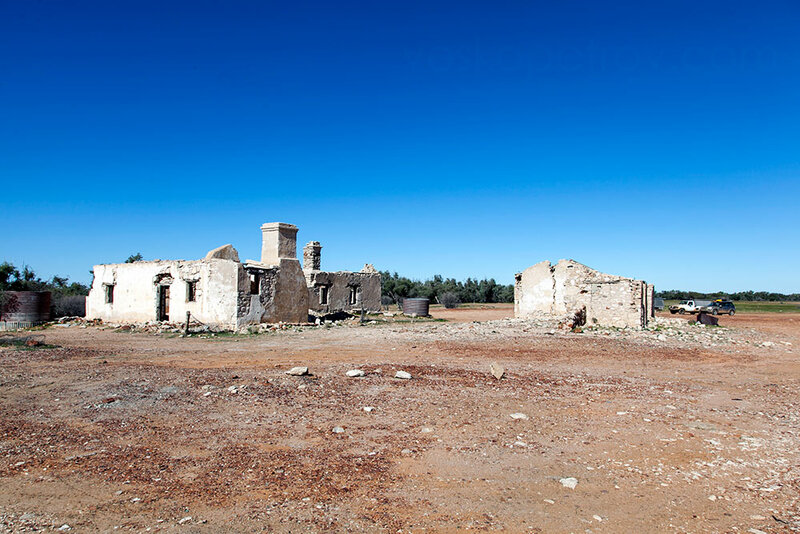 I take my time to wander around the ruins of Cadelga Outstation, telling myself that I should prepare for worse to come and that I should keep my recklessness in check. 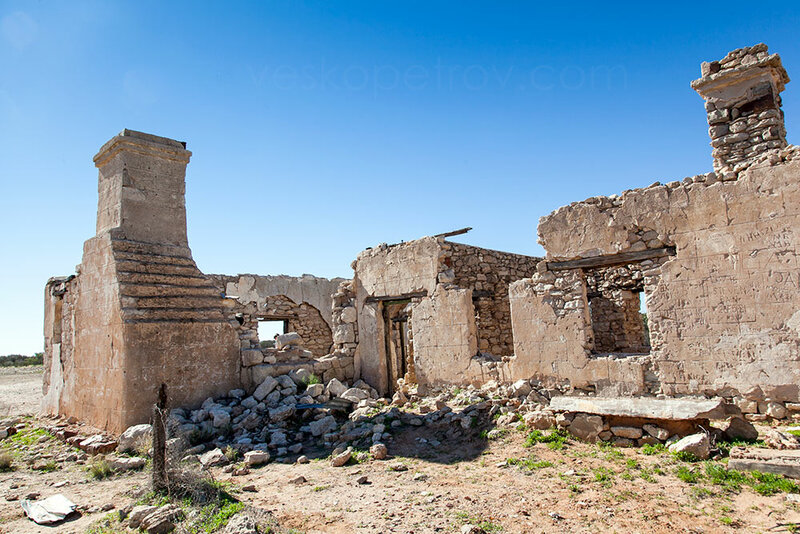 And then looking at the ruins, at the fireplaces, I am thinking people used to live here, they had hopes for their future. In comparison my mud troubles seem trivial. 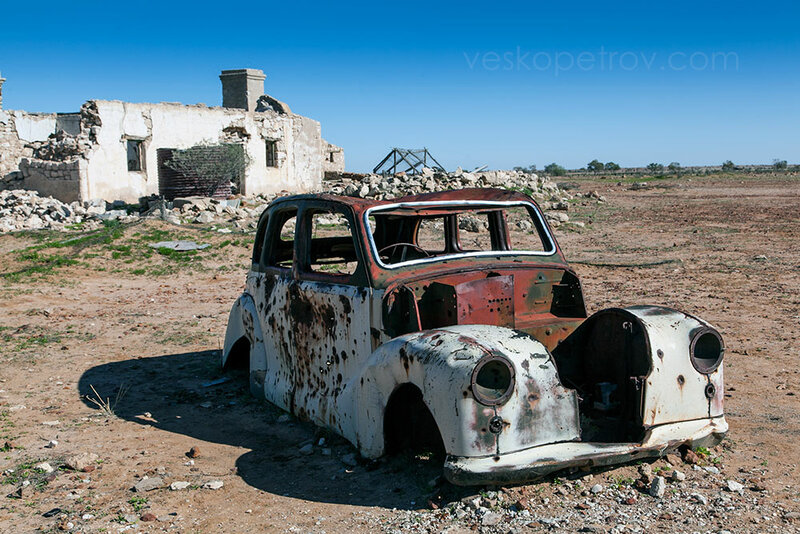 The inevitable old car riddled by bullets. 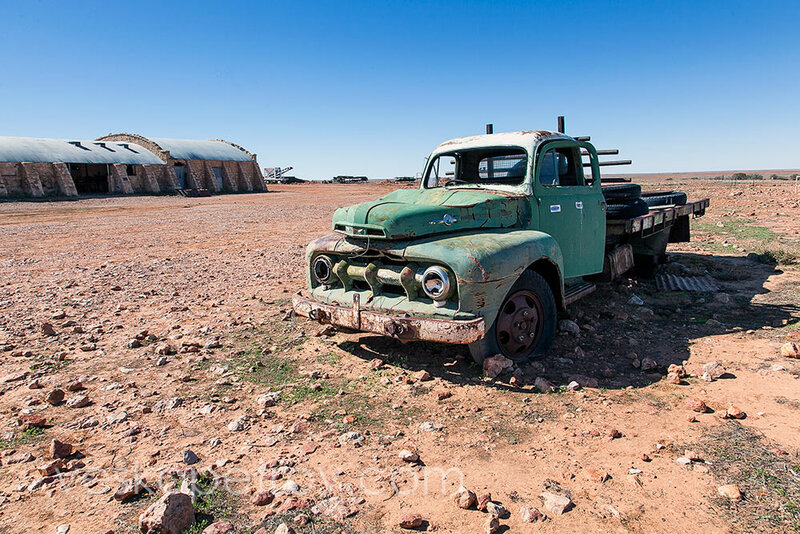 Indeed, Cordillo Road proves to be the hardest part of my journey. I continue on my way carefully looking for the bypasses, but still I manage to get myself lost, following someone’s tyre marks which soon disappear in the grass. The terrain is totally flat and without any features except low grass! On the 25 k map I can see I’ve turned some 5 km away from Cordillo Road. I am afraid to drive toward the road in this boggy country and decide to re-trace my way back to look for another bypass. 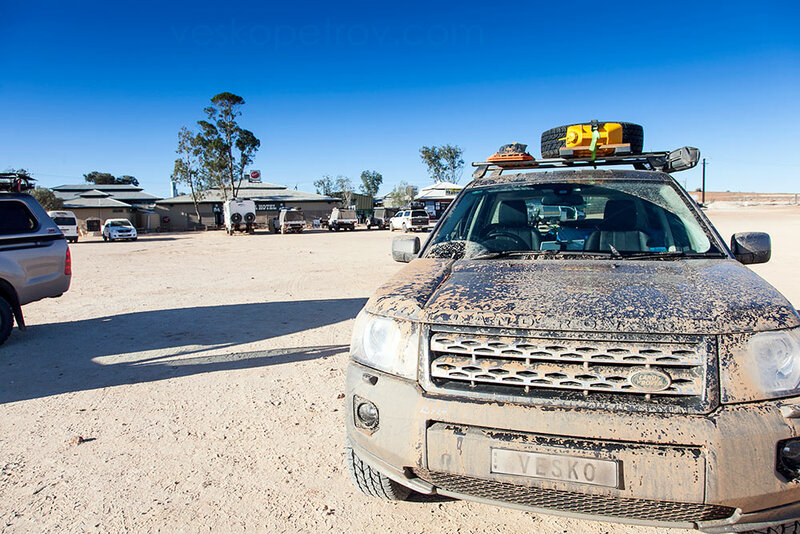 This mud bypassing continues for the next 100 km until I finally get to Cordillo Downs Station, where the road becomes markedly better. 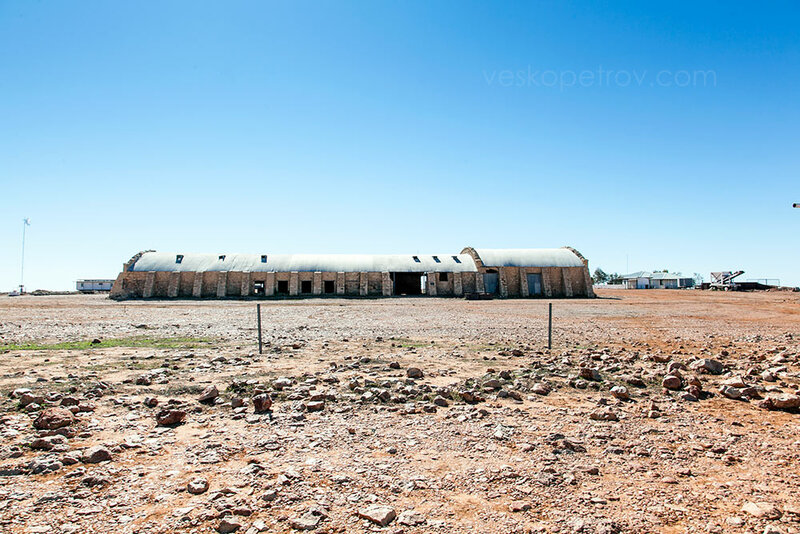 At Cordillo Downs Station I have a brief stop to see the huge sheep shearing shed left here as a historical memento. The Toyota drivers are having lunch here. The station is still functional and only the historical shed is open for viewing. 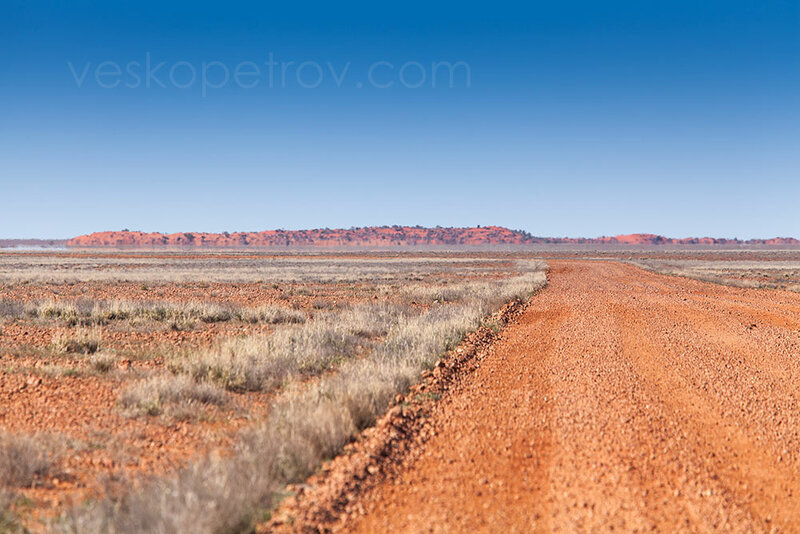 I don’t have any desire to see anything else anyway and continue to the junction with Cordillo Downs Road which will take me for the final stretch to Innamincka. 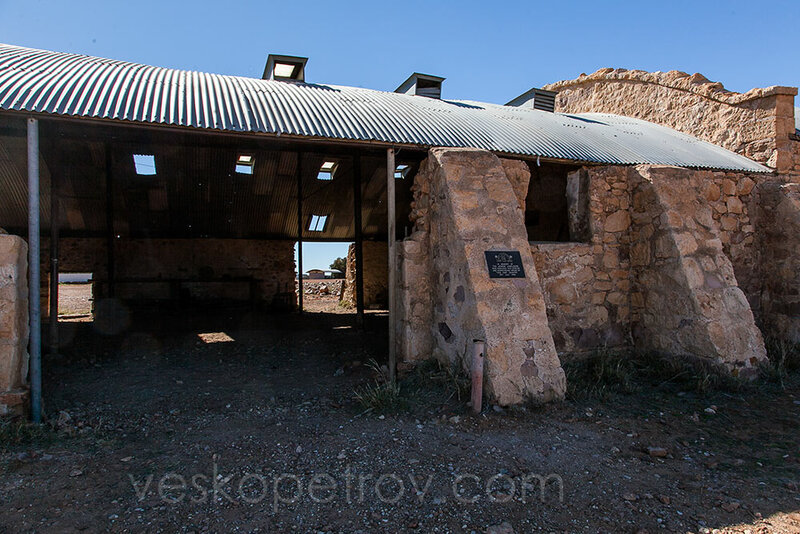 Cordillo Downs Station historical shed. … with the inevitable old lorry. Cordillo Downs Station historical shed nearer. 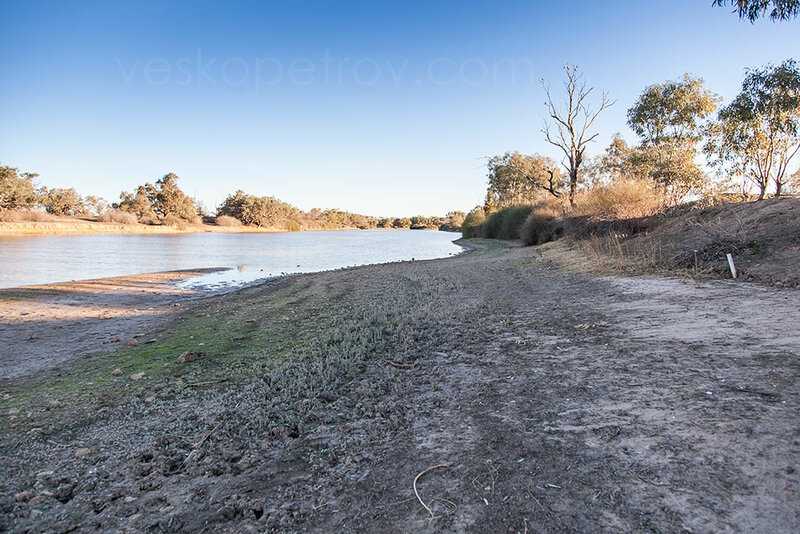 Cordillo Downs Road has been recently graded and the car simply swims into the numerous bends, so much so that a couple of times I’m fooled into a false sense of stability and the high speed trows the car dangerously close to the bushes on the side. Lucky I don’t encounter any incoming traffic. 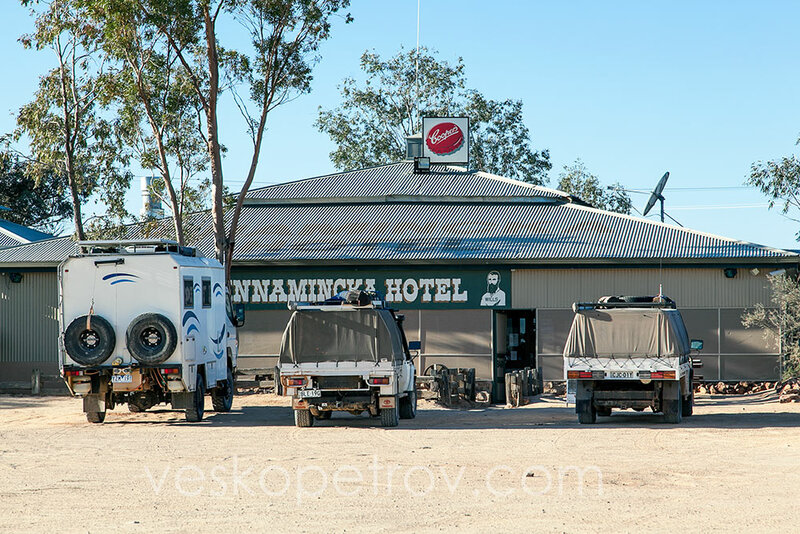 Innamincka is much quieter than Birdsville, but I should expect it – there is no “Great Outback bash” here. So I top up the diesel. It is late afternoon and time to find a suitable camp for the night. WikiCamps gives me a few options, but I see that some 60 k east of here is Dig Tree. I have good memories of this place and decide to press on to get there in the remaining daylight. So I do, Dig Tree camping ground is great again. 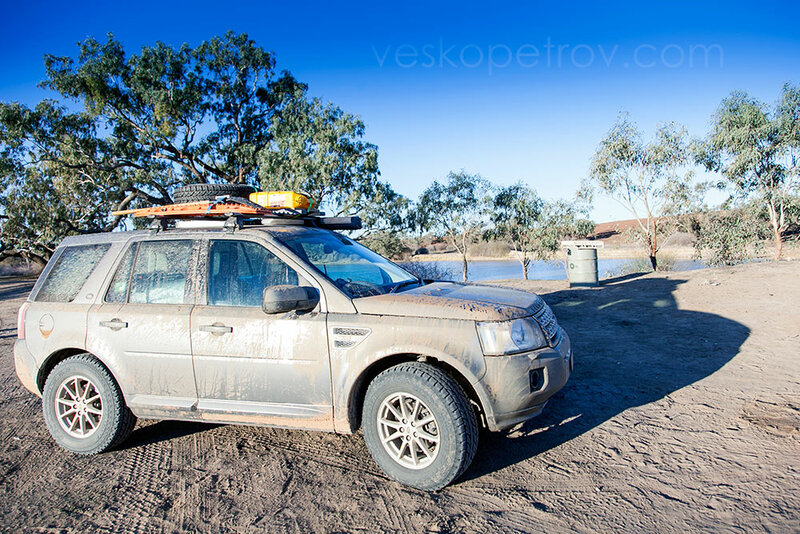 Vesko at Dig Tree camping ground. Now friends, not much left from my trip, just the 1 538 km drive back to Sydney. 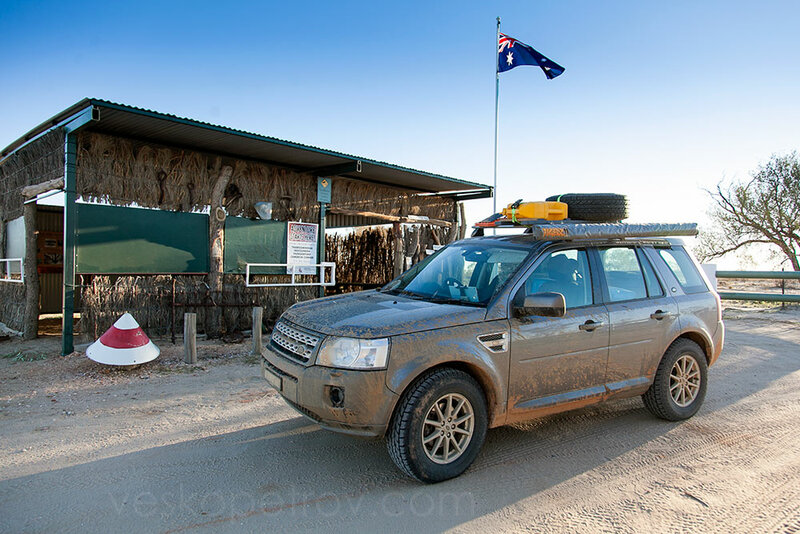 It is a pleasant drive, especially the first stretch from Dig Tree to Bourke. 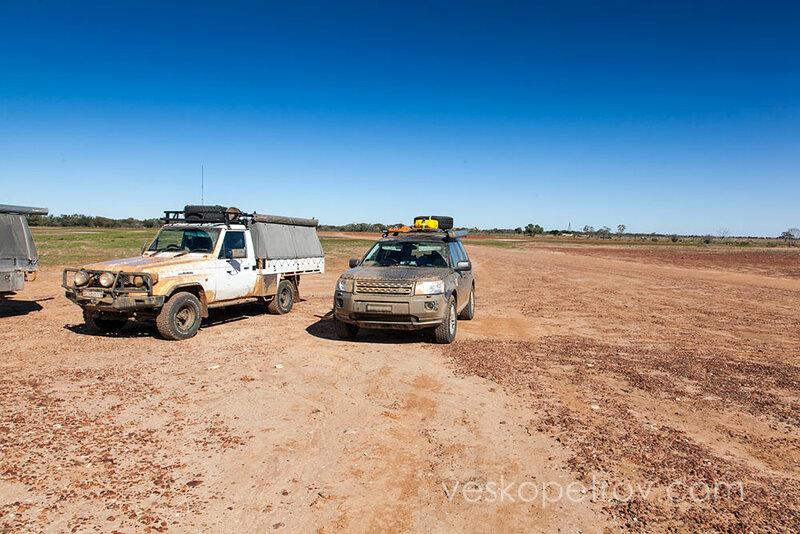 Well, I couldn’t make it to Cape York this year, but I had a wonderful trip, I was in the Outback again, and experienced the desert once more. I travelled 4 533 km in total, just 2 500 km short of what I expect to drive to the Cape and back. Let’s hope I have better luck next year. 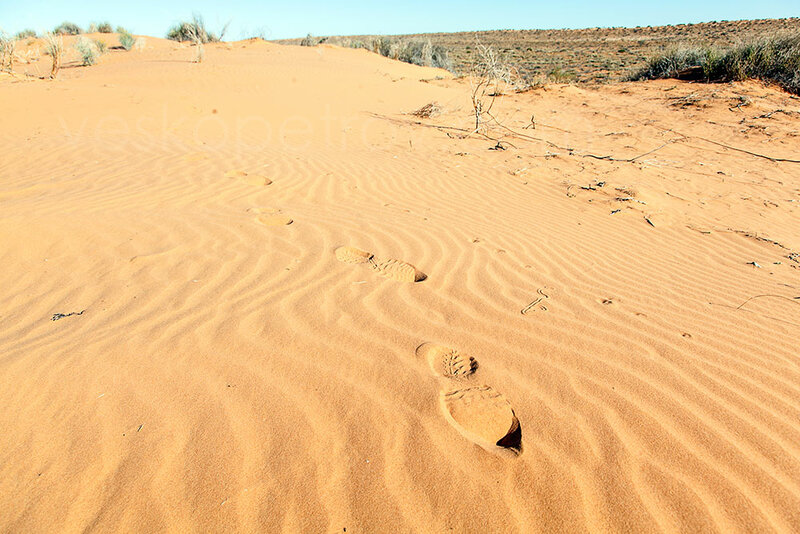 PS Important thing I have discovered – I’m addicted to the Outback now.